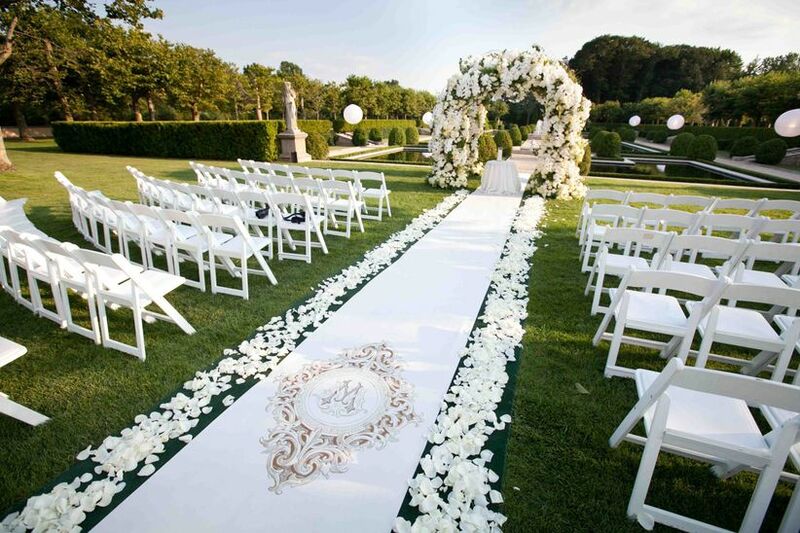 10 Unique Wedding Aisle Runner Ideas We Love | Wedding Ideas ARE YOU A VENDOR? Looking for the perfect way to make your aisle pop? One of these stunning wedding aisle runners should do the trick. Your wedding runway debut needs to be downright magical. Yes, your wedding ensemble is a big part of that, but your aisle should be equally beautiful. The first step to giving it that extra somethin’ somethin? Adding a killer wedding aisle runner. While you could go with a traditional white or red linen, we suggest trying something different for your big day. 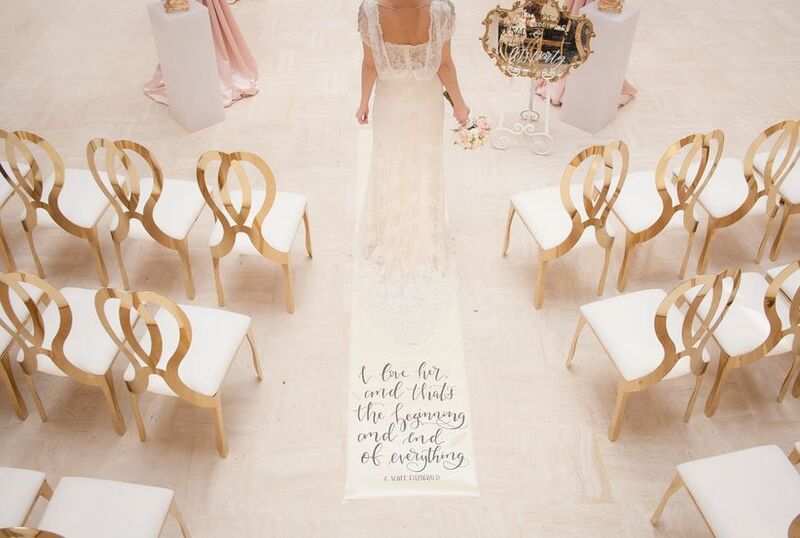 Here are a few wedding aisle runner ideas we love. Who needs a red carpet when you’ve got vintage rugs? 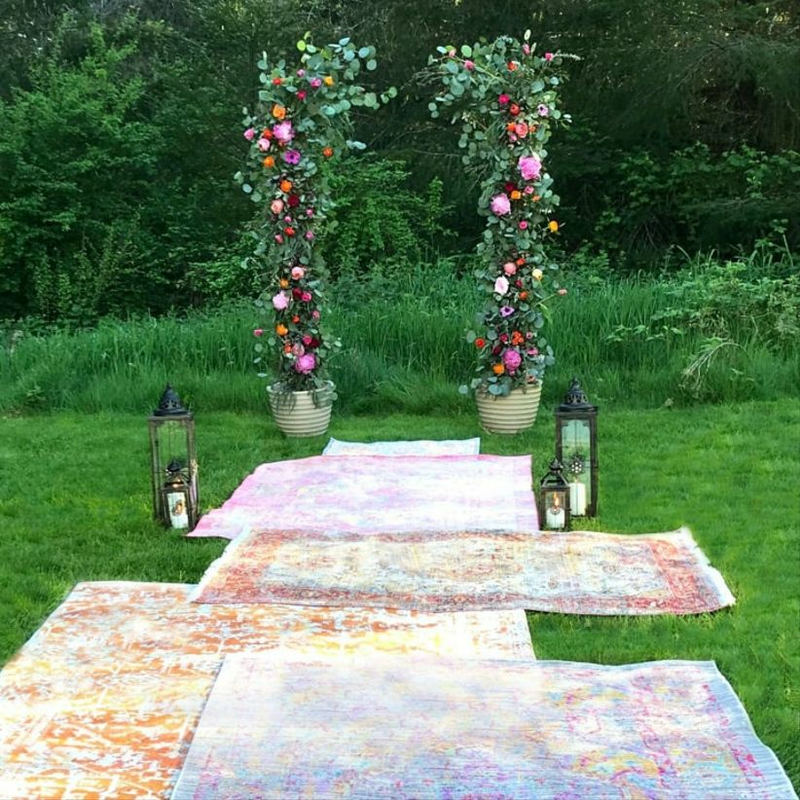 Whether you’re hosting an outdoor boho affair or a trendy loft wedding, these make for the perfect wedding aisle runner substitute. Your guests will definitely be ‘gramming them, so choose wisely when thrifting! 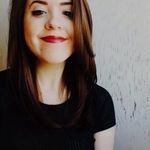 There are plenty of swoon-worthy literary quotes and love lyrics out there, and now’s the time to put them to good use. Find your favourite sappy sentence (or paragraph) and get it printed onto your wedding aisle runner. Don’t be afraid of being a little cheesy, that’s what weddings are for. Are you and your partner total bookworms? Well, you may want to consider foregoing the traditional linen runner and using sheets from your favourite books, instead. Whether the two of you want to use copies of your love notes or snag sheets from the pages of Harry Potter is your call. Flower petals It may be time to call up your florist and place another order. Adding a sprinkle of petals, using blooms to make a design or crafting the entire aisle from flowers will help take your runway to the next level. 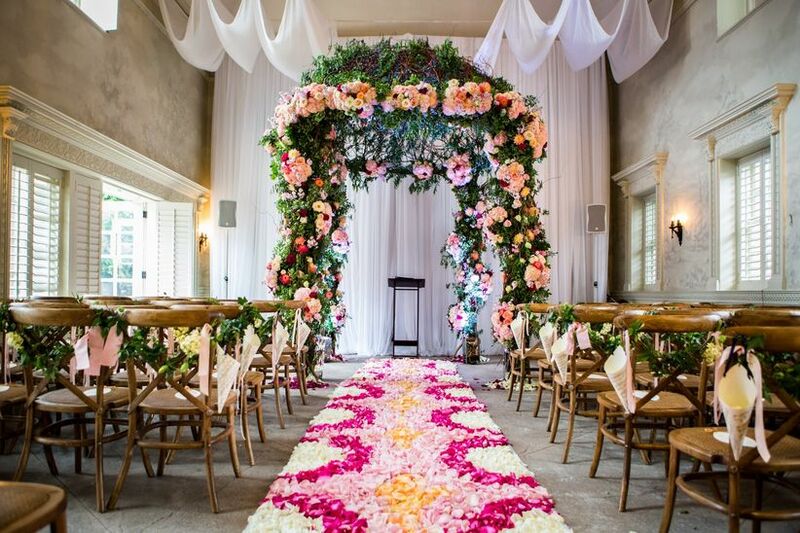 Note: you want all eyes to be on you - not your wedding aisle runner - when you make your grand entrance, so sticking to one or two petal colours is ideal. Feathers are the perfect addition to a simple carpet runner or a runner-less aisle. They’ll add a touch of fairytale whimsy and texture without stealing the spotlight. Bonus: you can get them in just about any colour and they won’t run you a ton of money. You probably spent a lot of time working on perfecting your wedding monogram, so why not put it to good use? Stamping your wedding aisle runner with your initials will make it truly one-of-a-kind and personal. Have it printed on your runner by a pro or use gobo lighting to shine it onto your aisle (this method is a bit more budget-friendly). You don’t need to go the plain Jane route. 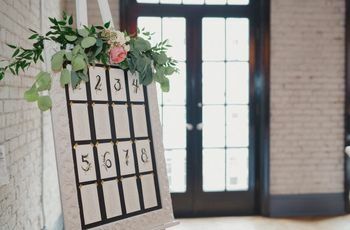 While solid wedding aisle runners can pack a punch, a pattern can really make your aisle go the extra mile. From chevron to marble, you’ve got plenty of options at your disposal, and it’s easy to find one that suits your theme. Bring the outdoors inside by adding an astroturf or grass runner to your ceremony space. 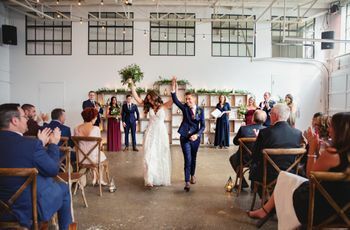 This is the perfect option for industrial-chic spaces, like lofts, that could use a bit of greenery to balance out the bricks and beams and for couples who want to make their aisle pop against a monochromatic colour scheme. Want to add a bit of glitz and glam to your aisle? Why not add a wedding aisle runner made of glitter? 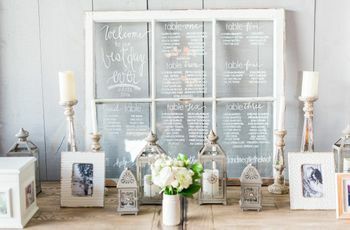 Whether you want to give a more minimalist decor scheme a boost or add to an already over-the-top theme, this is one style that your guests definitely won’t be able to take their eyes off of. Fill your guests in on your love story by putting it right on your aisle. If you don’t like the look of adding photos, you can always write out your milestones in text. 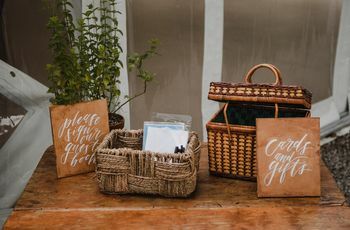 You’ll definitely want to hold onto your runner post-wedding, it’s a super sweet and sentimental keepsake that you can look back on for years to come.